The snowstorm that slammed Nova Scotia on Wednesday is no longer a "Juannabe," The Weather Network has confirmed. 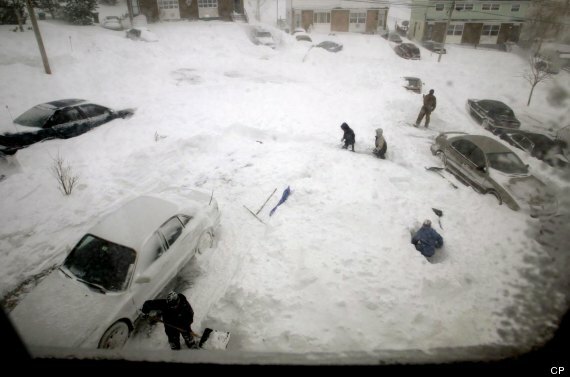 Today's storm rivalled the strength of the 2004 blizzard. This #atlstorm has now tied the lowest central pressure of #WhiteJuan (959 mb) and will likely go deeper. No longer a #Juannabe. For those who don't remember, "White Juan" was a winter storm that formed over Cape Hatteras, N.C. on Feb. 17, 2004. It intensified over the Gulf Stream before striking the Maritimes, Environment Canada reported. Snow fell at a rate of five centimetres per hour for 12 straight hours, and winds blew at up to 124 kilometres per hour. The storm's central pressure dropped 57 millibars in 42 hours, making it even more powerful than Hurricane Juan, a weather event that struck the area just five months prior. 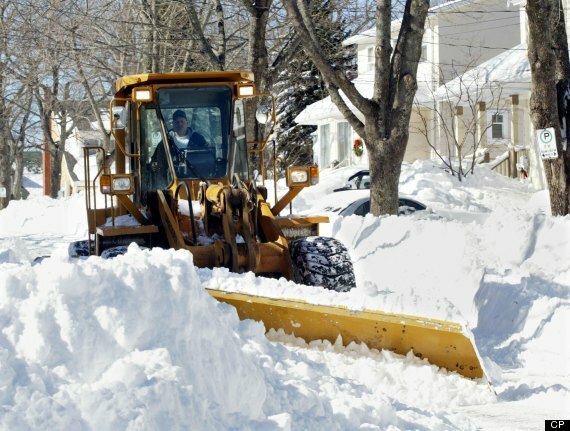 Halifax saw 88.5 centimetres of snow on Feb. 19, 2004, nearly doubling its previous record for a single day. It became the biggest city in the world at the time to receive so much snow in one day. Twitter users called the latest storm a "#Juannabe," drawing comparisons with White Juan, but maybe now it's time to pick a more fitting moniker. 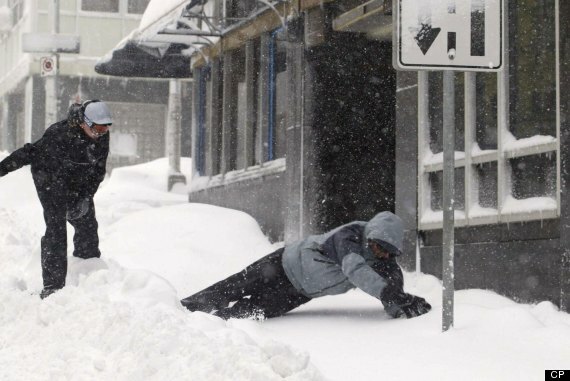 The hashtag "#atlstorm" also yielded some excellent pictures of the storm hitting Halifax and other areas.